April marked a new beginning for me as I went freelance as a full time writer and blogger. It was exciting, scary and busy all in one. In hindsight starting a freelance career in the same week as your kids begin a two week holiday is probably not the best way to establish your business but it was fun never-the-less. We started the month with a week in Cornwall, followed by a mini break in Bristol – all with Mr Tin Box before he began a new job of his own that’s going to be taking him away from home more. The family time was invaluable, even if the weather threatened to dampen things down on more than one occasion. This month’s trip travel tips come from Jenny at Travelynn Family who did this epic guest post for me about adventurous travel with kids. Jenny has travelled India and Africa with two kids under the age of five so she knows her stuff! If you’re planning your own adventurous trip with kids than check out her top 10 tips. This one is a toughie as we had two very different trips in April which we loved in equal measure: Cornwall and Bristol. But if I had my hand forced I’d say that Bristol pipped Cornwall at the post, just because it’s a place that I’ve wanted to explore more. 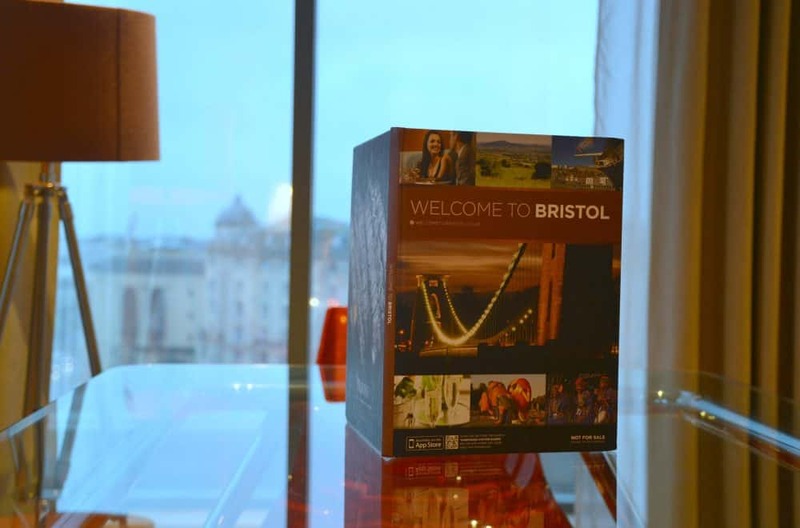 In recent years I seem to have had only the shortest of brushes with Bristol for one night stays for work dos and overnighters before flights. In April we had a whole 48 hours in the city and it was fab (despite a lot of rain!). There’s more to come on the blog about the fab SACO Apartments on Broad Street where we stayed but in the meantime here’s a video of out visit to SS Great Britain on Bristol Harbour. We were lucky to be invited to review lots of great days out during the Easter School holidays. The Telegraph Museum in Porthcurno, Cornwall, and the new Being Brunel exhibition at SS Great Britain in Bristol we’re particular highlights. We also did plenty of Easter egg hunts including one in the gardens of Agatha Christie’s former holiday home; Greenway House in South Devon. The gardens were full of signs of Spring making it a lovely place for a wander. I think this made it my favourite day out of the month but it was a seriously close call with so many other fun days in April. I’ve been picking up lots of new purchases for our adventures in May – more on these in a minute. Some of my favourite additions to the girls’ holiday wardrobe area pair of colourful graphic t-shirts we’ve been sent by Lands End, along with matching skorts – very practical! Everyone must have lots of outdoor adventures planned this Spring as my most popular post of April was a review and competition with KEEN. We reviewed their Ethos and Newport H2 hiking sandals, which we think are great for days out walking, cycling and at the beach. The giveaway closes on Wednesday 2 May, 2018. I may have mentioned this a couple of times in the past few months but I’m so excited that the girls and I are off on a cruise at the beginning of May. We’re joining Lisa from Travel Loving Family on Navigator of the Seas for the Back to the 80s Cruise. Expect lots of highlights from our cruise on my social media and Cruising With Kids which we’ll be updating daily. Hot the heels of that little holiday in Europe I’m making a solo trip to Costa Barcelona with the Britmums team to find out all about this wonderful coastal destination. To round off the month we’re heading to Hampshire for some quality time with the Tin Box cousins. Forgive me if June is a little quieter!